Stingray Digital Group Inc., a leading multiplatform music and video services provider, announced that it has welcomed David Purdy as its Chief Revenue Officer. The creation of a position of chief revenue officer reflects the accelerated growth of Stingray’s operations and the diversification of its revenue streams. 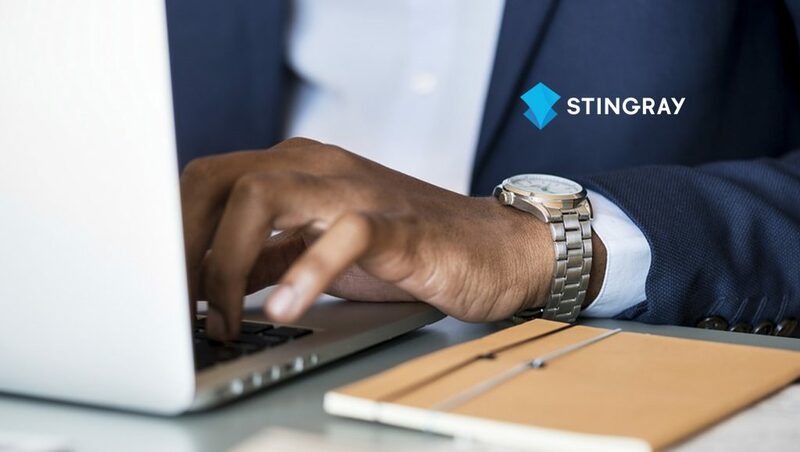 In this position, Mr. Purdy, who has years of experience managing multiple operating entities and steering them towards a single, unified vision, will oversee all aspects of Stingray’s revenue expansion including advertising, and sales efforts. Mr. Purdy comes to Stingray from VICE Media where, as Chief International Growth Officer, he worked extensively on the launch and worldwide expansion of the VICELAND TV channel, including a much publicized deal with SBS in Australia. In addition, Mr. Purdy worked on mobile partnerships including a deal for VICE content to appear on Partner Telecom, and expanded the distribution of VICE content on next-generation platforms such as HULU. He also expanded multi-platform partnerships and helped the organization grow its global distribution network to deliver programming to all screens. Mr. Purdy also has a proven track record in the cable television, next generation media content industry and has helped launch several Canadian specialty channels including Sportsnet, OLN, Discovery Channel Canada, and The Comedy Network. Previously, Mr. Purdy held various senior roles over a 15-year career at Rogers Communications. As Senior Vice President of Content and Video Product Management, he worked across the Mobile, Cable TV, Broadband and Media Divisions. He was responsible for creating and launching next-generation content bundles and products that went beyond the traditional cable TV offerings. More specifically, Mr. Purdy was heavily involved in acquiring the rights for sports and entertainment content to create operational leverage for all Rogers divisions, and in launching a number of both subscription, advertising and value-added services.